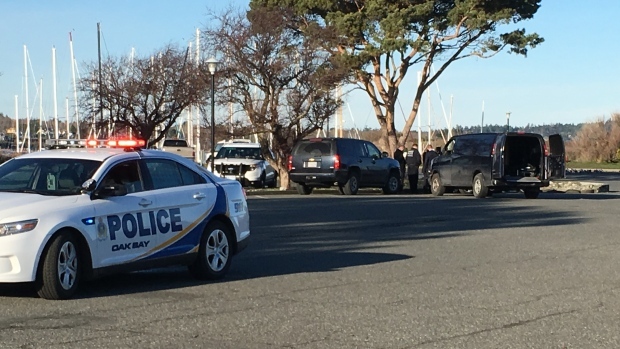 Police are investigating after a man in his mid-40s died in the parking lot of the Oak Bay Marina Wednesday. Investigators were called to the lot at 12:30 p.m. for a report of a possible death. Officers, paramedics and firefighters attempted to provide CPR and other life-saving measures to save the man, but he was pronounced dead. Oak Bay Deputy Police Chief Ray Bernoties say there's no reason to believe the death involves foul play, but investigators are still trying to determine how he died. He said if they conclude that the man didn't meet with foul play, the BC Coroner's Service will assume the investigation. Detectives and forensic experts remained on scene Wednesday afternoon.